Vivo is about to launch Vivo Y91 smartphone with budget price. The phone is expected to come with 6.22-inch waterdrop display for INR 10,990. Vivo has recently released couple of smartphones viz. Vivo V9 Pro, V11, V11 Pro, Y95 etc. and the subject phone comes in the Y series in a budget segment. The brand has also brought some of the innovative phone's like Vivo NEX and its series too beside dual display feature NEX one. If you are looking for Vivo Y91 key features, technical specifications, price, launch date, release date, review, first impression, unboxing, comparison and hands-on etc. then you could find some of them over here and the rest we will update once Vivo Y91 is officially launched. The phone might be powered by octa-core processor and paired with 3GB and 4GB RAM variant. The internal storage of the mobile phone could be 64GB with an expandable memory option. Vivo Y91 would run with the latest Android Oreo operating system beside Funtouch OS. The display of the cell phone is expected to be of 6.22 inches Halo Fullview and waterdrop notch. With regards to its cameras, there would be 13+2 megapixel rear camera and 8 megapixel front shooter. This must be one of the cheap and best smartphones in 2019. 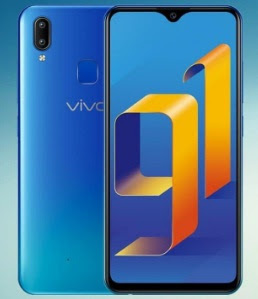 Vivo Y91 price: Approx INR 10,990. Tips: It is one of the best option to buy Vivo Y91.